Many of the biggest names in the comic-strip film and entertainment industries were at the Comic-Con 2010 show in San Diego. It’s an unparalleled event that showcases the work of artists, designers and film makers. One such design team is that of Hasbro, the games and model maker. They also chose to showcase their new models in San Diego. Their design team is clearly huge and they had prepared some impressive work for the event. But their choice of presentation material, in the form of a Hasbro PowerPoint presentation was uninspiring. The Hasbro PowerPoint presentation appears to be a poorly constructed PowerPoint slide deck of some 55 slides. 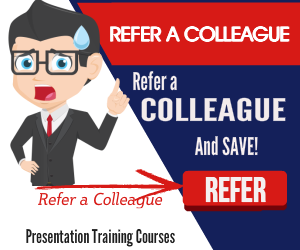 It’s a classic piece of corporate branded PowerPoint. So, there’s a Hasbro branded header and a footer on most slides. And those that don’t have a header and footer? Well, they feature a Hasbro watermark instead. Pictures and illustrations abound. Yet they don’t dominate the visual landscape. 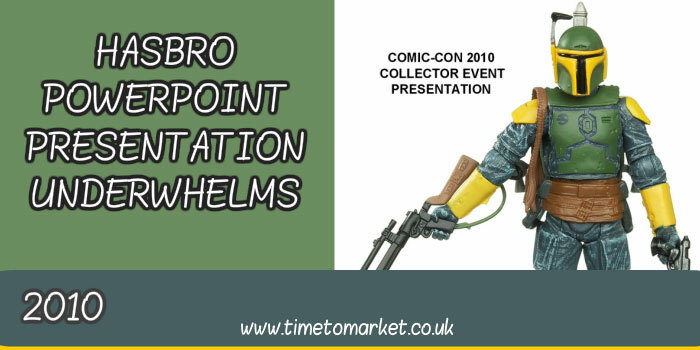 Instead small images of the popular Hasbro figures are placed in small holders throughout the slide presentation. Often they have to fight for space with other images from the Hasbro stable. Or worse still, they fight with the bullet points. In some cases the pictures obscure the blue Hasbro logo in the Hasbro footer. So that this negates the case for the footer. The screen text would have to be unreadable to the audience. A better tactic would be to get rid of most, if not all, of the text. And the remaining text? Bulk it up. Beef it up like the Hasbro characters themselves and give the words focus and standing. It’s a very disappointing corporate-styled Hasbro PowerPoint presentation that had the potential to be much better. Because there’s a wealth of creative talent in the Hasbro design and marketing teams that presented at Comic-Con 2010. And there’s also a wealth of illustrative material that could be superbly photographed and presented. It’s not a PowerPoint text overload problem. But, undoubtedly, it is a management presentation problem. Clone Wars = good. PowerPoint clone = bad. 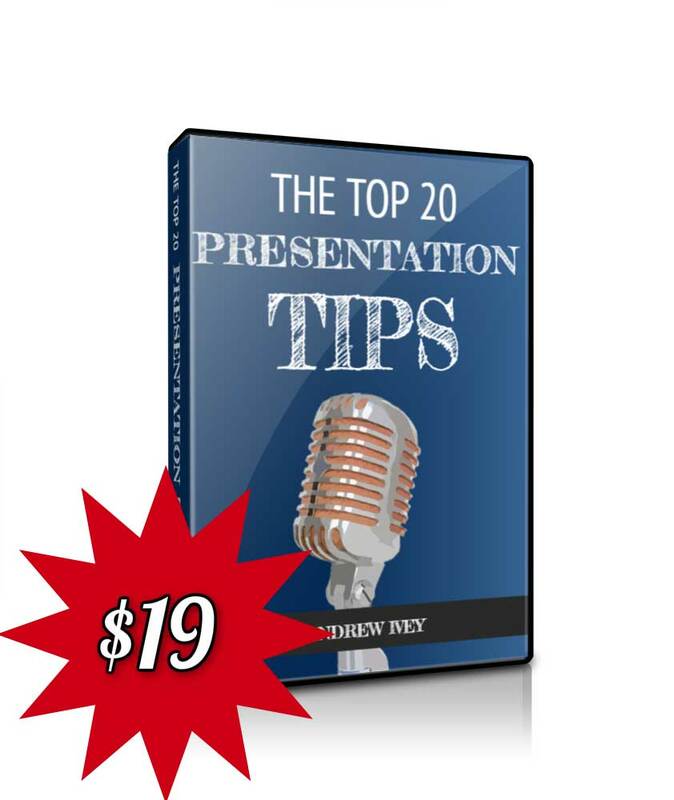 There’s more presentation design advice in this Slide Nation article. 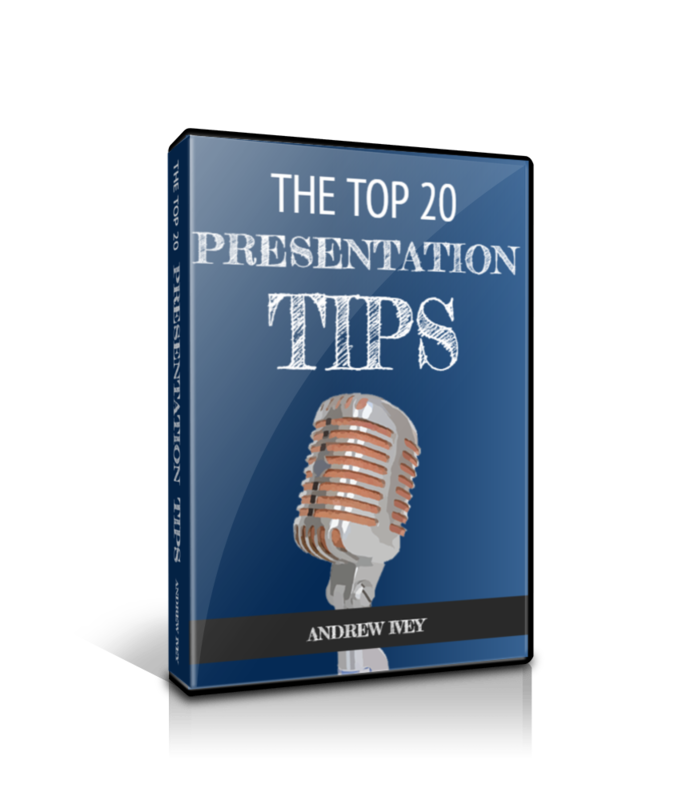 And, you can read more about your presentation design choices in our regular series of presentation tips. 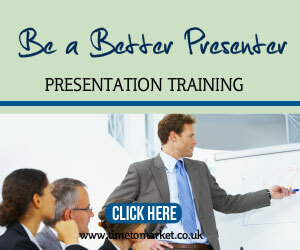 Plus, you can discover more tips and new presentation suggestions with one of our presentation training packages. Please don’t hesitate to get in touch with any questions you might have.